Intermittent fasting is one of the fastest growing (no pun intended) types of weight loss diet. But does it really help you lose weight? Keep reading to find out. Can IF Help You Lose Weight? What are the Diet’s Limitations? Most of us eat three meals per day without thinking about why. There’s probably nothing wrong with the “three meal diet,” but intermittent fasting (IF) – restricting your eating during certain periods – may help you lose weight. Of course, there is nothing new about fasting. Many religions have promoted fasting as being “good for the soul” for thousands of years. Science has been slower to recognise the potential health benefits – including weight loss – though. And there is still plenty of debate today. In this article, we’ll quickly go through the basics of intermittent fasting. We’ll then dive into the research linking weight loss with IF to see whether this is a type of diet that can help you lose weight. Note: Weight loss is just one of the supposed benefits of intermittent fasting. This type of dieting may also help prevent or slow the progress of metabolic disease, improve body compensation and has shown in some animals to improve lifespan. Whether humans gain these benefits is yet to be confirmed. At its core, intermittent fasting is a simple concept. Instead of eating whenever you feel like it, you heavily restrict your calories during certain periods. This simplicity is one of the great strengths of IF. It also means that you don’t need to give up the foods you love – you just need to eat them during specific times. Window Feeding. Restrict eating to a specific window during the day. This is also known as time-restricted feeding (TRF). 5:2 Diet. Greatly reduce calorie intake for two days a week. Alternate-Day Fasting. Eat for 24 hours then fast for the next 24 hours. Random. Skip random meals rather than follow a specific plan. Each of these variants contains a number of sub-variants. On the alternate-day variant, for example, some people fast for 36 hours and eat for 12. Others follow a 24 hour alternative protocol but restrict their calories rather than eating nothing. There are also hybrid diets, such as the Half Day Diet which combines IF and low-carb. Choosing an intermittent fasting variant can be difficult – especially if you haven’t tried it before. Our advice is to go with one you’re fairly sure you can stick with for at least several weeks. Intermittent fasting can be dangerous – especially for certain groups. IF has not been well studied in the elderly, underweight or children and could be potentially harmful. Fasting for more than 24 hours may also affect circadian rhythm and the gastrointestinal system. People with diabetes, hypoglycemia or who are pregnant (or breastfeeding) should also avoid fasting until you have discussed it with your doctors. If you visit an intermittent fasting blog or forum, you’ll likely be overwhelmed by the supposed evidence about the effectiveness of this type of diet. And the good news is that IF does seem to lead to weight loss. Some of the first hints came from studies on rats. In one study, rats were allowed to feast one day and forced to fast the next. These rats consumed fewer overall calories, yet lived to the same age as other rats that had been fed calorie-restricted diets. A study in the 1930s also showed rats that ate a restricted calorie diet lived longer and were less likely to develop cancer. A study into the 5:2 diet showed that it is as effective as calorie restriction for losing weight. A small study in 2012 (PDF) found that after eight weeks 30 obese women had lost an average of 4kg. A review study in 2014 found that IF did help participants lose weight, but by less than those on a regular calorie restricted diet. So it seems IF can help you lose weight – although total weight loss might be less than on a regular calorie restricted diet. Like many issues in the diet world, however, things aren’t simple. The reality of any “fad diet” is that they can often work, but only because they help you reduce your calorie intake. This isn’t to say that IF is a fad diet, but that these results need to be put in context. Low-carb diets, for example, probably only help people lose weight because proteins and fats take longer to digest. This means people feel fuller for longer, while avoiding cravings caused by carbohydrates, so they eat fewer calories. The result is that studies have shown low-carb diets help you lose weight faster initially but then taper off. 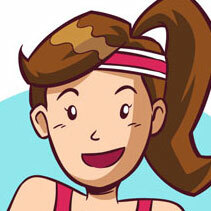 In other words, your weight depends on your total calorie intake in relation to calories you’ve burned. This means the IF variant and how much you eat greatly affects the effectiveness of the diet. If you restrict eating to an eight hour period, for example, then IF doesn’t tell you what to eat. A person consuming a healthy, balanced diet with an overall calorie deficit will lose weight – and IF may make this easier to stick with. Someone who binge eats chocolate and cakes during their window is still likely have a calorie surplus. The success of IF is probably because fasting makes it much harder (but not impossible) to overeat. Is this the only reason why intermittent fasting is beneficial though? This is more difficult to say. Intermittent fasting may increase insulin sensitivity in the same way that continuous calorie restriction does. Some experts think that fasting causes a mild stress on cells, which could allow them to respond better to certain diseases. More human studies need to be done before these benefits can be confirmed though. An issue with intermittent fasting is that it’s unclear what the best variant is. It’s possible that fasting causes strong pangs of hunger, which could lead to gorging during the feasting period (and hence weight gain). It can also be easy to forget to eat a healthy, balanced diet during your feasting periods. There’s nothing magic about IF – you won’t lose weight if you don’t eat fewer calories than you burn. Most IF variants also don’t include recommendations for exercise. While diet is probably more important when it comes to weight loss, cardiovascular exercise to burn calories is also important for fat burn and health. We recommend pairing IF with an exercise routine for calorie burn for best results. If possible, choose a type of exercise you enjoy (an example would be Yoga Burn if you enjoy yoga). It appears that intermittent fasting can help you lose weight, as long as you remain in an overall calorie deficit. There have been few studies into the long-term benefits of the diet though – and the proposed health benefits are less certain.